We believe that working in an environmentally sustainable way is simply good business practice. We take our responsibility to the natural world seriously, and continually strive to reduce our impact on the environment throughout our processes. When the opportunity to build our very own factory in Cambodia from scratch presented itself in 2013, Pactics has embraced this with both hands. A firm and strong belief that good wages, worker empowerment, a safe and inviting workplace and focus on sustainability are the only way forward, forms the fundament of the Pactics organization. Corporate Social Responsibility is in the DNA of the organization. To be able to build our own factory with a working environment that reflects exactly those beliefs has been the chance of a lifetime. And we even went further by bringing the factory to the people. The decision to build the factory in Siem Reap ensures our people stay in their social structures, they can build a normal family life and we can support the wider community surrounding our employees. For our employees Pactics provides a safe and welcoming environment. We fully follow and adhere to the guidelines of ILO’s Better Factories. The factory has been SA8000 certified in 2015. Salaries are of course fully in line with local regulations and laws. We have done a living wage research in 2015 to verify that we were right on track. Employees receive 44 days of paid holiday. Working week is 48 hours. Minimum age to work at Pactics is 18 years. Our model of sustainable production brings benefits for all involved. Our people have a safe and welcoming working environment, they earn a decent income and have the opportunity to grow their careers. We improve the lives of our people, we have a very dedicated workforce that ensures that our customers get great products. Pactics joined the Sustainable Apparel Coalition (SAC) in March 2017 and will use the group’s sustainability measurement tool, the Higg Index, to drive environmental and social responsibility throughout its supply chain. Social Accountability International has established one of the world’s preeminent social standards – the SA8000 Standard for decent work, a tool for implementing international labor standards – that has improved the lives of over a million workers. SA8000 guides employers to consider the importance of each job and to recognize the equal dignity of each person involved in the supply chain – from the worker to the retailer to the consumer. The SA8000 Standardleverages the power of business and consumer to purchase products made from workplaces that enrich, not denigrate, the livelihoods of people. 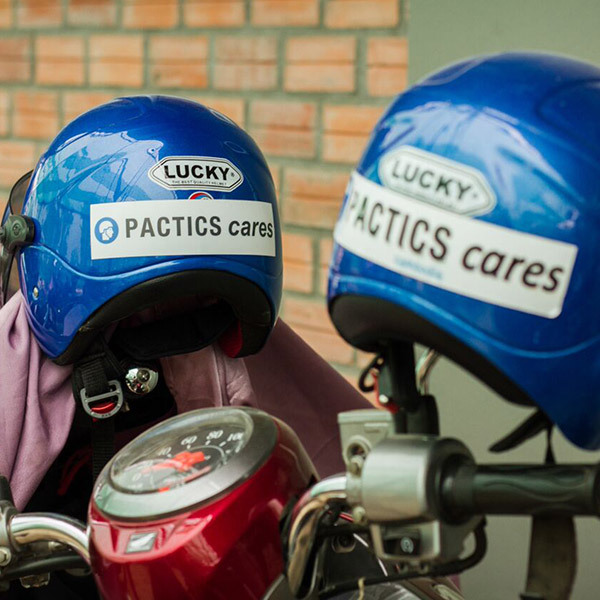 When the opportunity to build our very own factory in Cambodia from scratch presented itself in 2013, Pactics has embraced this with both hands. A firm and strong belief that good wages, worker empowerment, a safe and inviting workplace and focus on sustainability are the only way forward, forms the fundament of the Pactics organization. Corporate Social Responsibility is in the DNA of the organization. To be able to build our own factory with a working environment that reflects exactly those beliefs has been the chance of a lifetime. And we even went further by bringing the factory to the people. The decision to build the factory in Siem Reap ensures our people stay in their social structures, they can build a normal family life and we can support the wider community surrounding our employees. In its relationship with the SAC, Pactics will contribute both data and resources to support the Higg Index, which measures sustainability performance and drives supply chain transparency and decision-making to better efficiency and sustainability impact. The Higg Index is an open sourced, indicator-based tool that allows suppliers, manufacturers, brands and retailers to evaluate materials, products, facilities and processes based on environmental and product design choices. We understand that careful supply chain management is crucial to the protection of our partners’ brands. Prioritising best practice means we can give full assurance to our partners that their products are being manufactured in a way we can all be proud of. 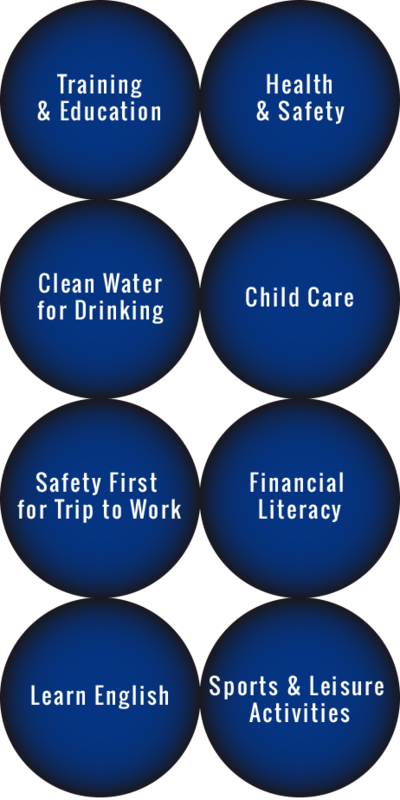 Operating ethically is always our top priority, and we implement a variety of thorough policies designed to benefit both our people and our planet. As a result, our partners can feel confident that their products are made in a way that is socially responsible and environmentally sustainable. While we are proud of our practices, we cannot claim our products are made ethically without ensuring our standards are met throughout the entire supply chain. We carefully select like-minded suppliers, regularly audit them to ensure they meet our zero tolerance policies, and actively invest in positive improvements within the supply chain.